The event. 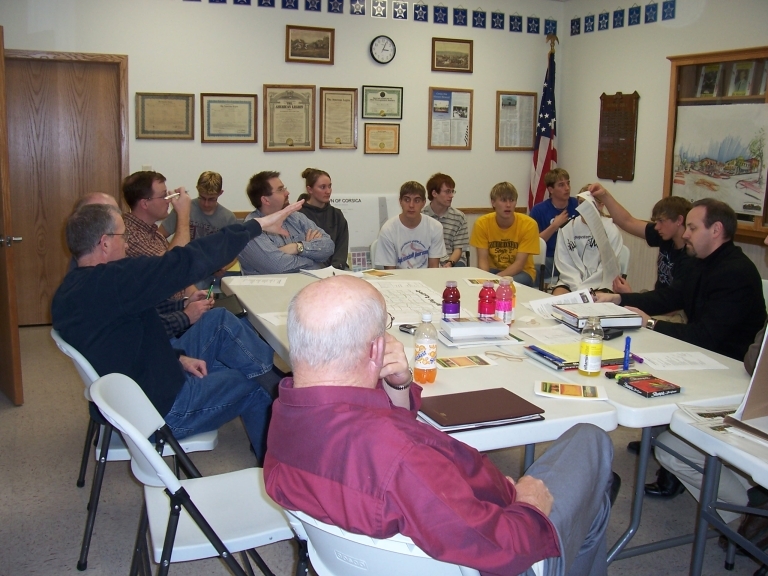 Design South Dakota is a new way to help rural communities create a better future by design. In May, 2007, a team of design and community development professionals will spend four intense days (called a design “charrette”) working with the people in the Corsica region to gather and illustrate local ideas. The event will help to build a shared vision for the future, and to demonstrate ways to turn those ideas into reality in the Corsica regional community. 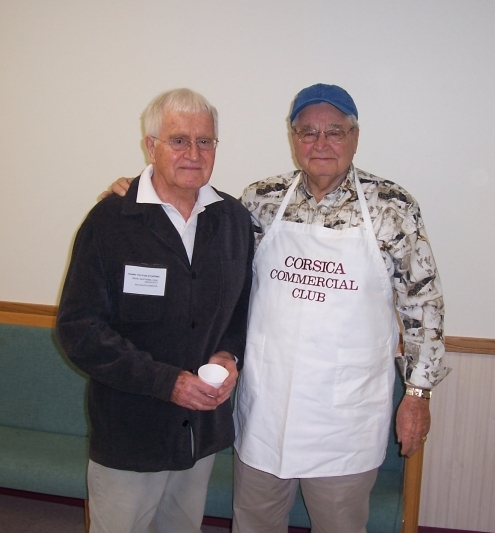 Corsica will become the first ever Design South Dakota community. The event will be talked about all over the state, as we help celebrate 150 years of the American Institute of Architects, and Corsica’s history and future by design. The team. 20-30 professionals from all walks of design and community development will come to Corsica to work on the design:SD team. These volunteers from all over our state care about rural places and the future of our state’s small communities. They will work long and hard together for four days to help the people of Corsica think about and design the future. And you. The focus of the four-day event will be ideas from local people. 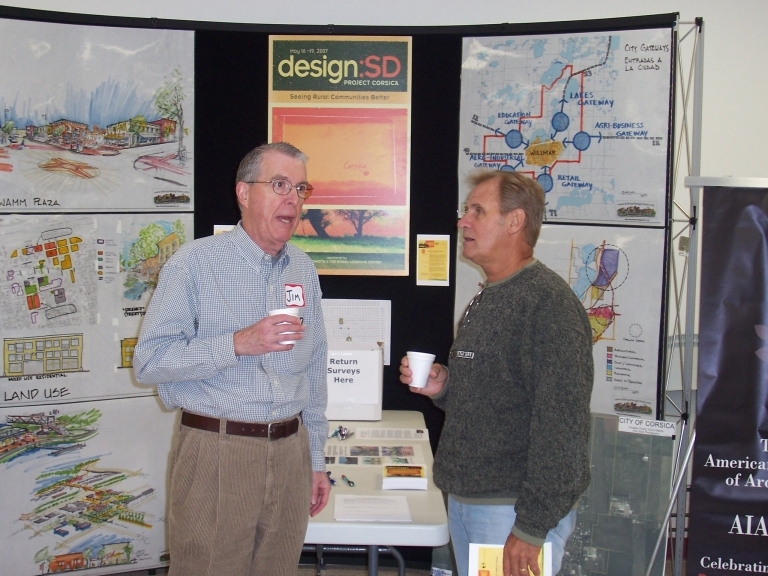 The design:SD team will listen to and interact frequently with local folks during the “charrette.” They will build and illustrate ideas as they go, and make changes along the way based on local input. The event will help the Corsica region to dream about the future, and recognize how important design is to that future. 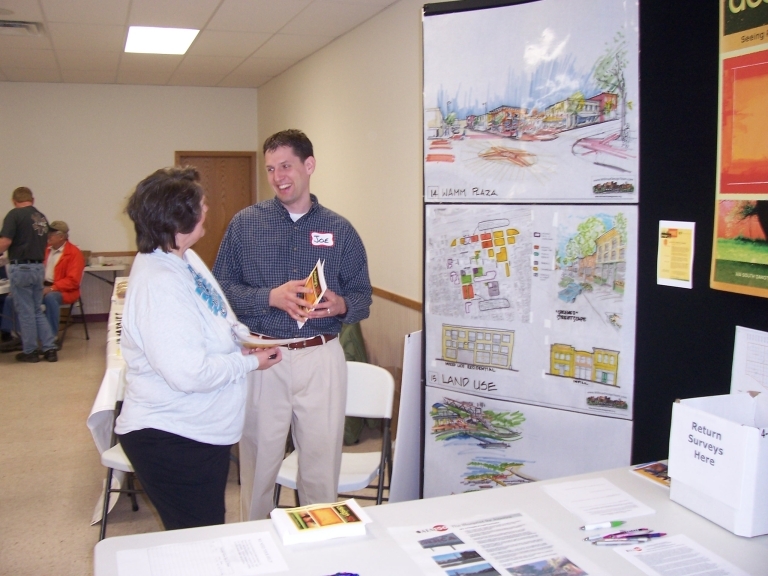 A charrette can bring the people of the region together and energize them toward a shared vision–a better way to see their community. design:SD is sponsored by AIA South Dakota and The Rural Learning Center, and locally by Planning Development District III and the Corsica Commercial Club. 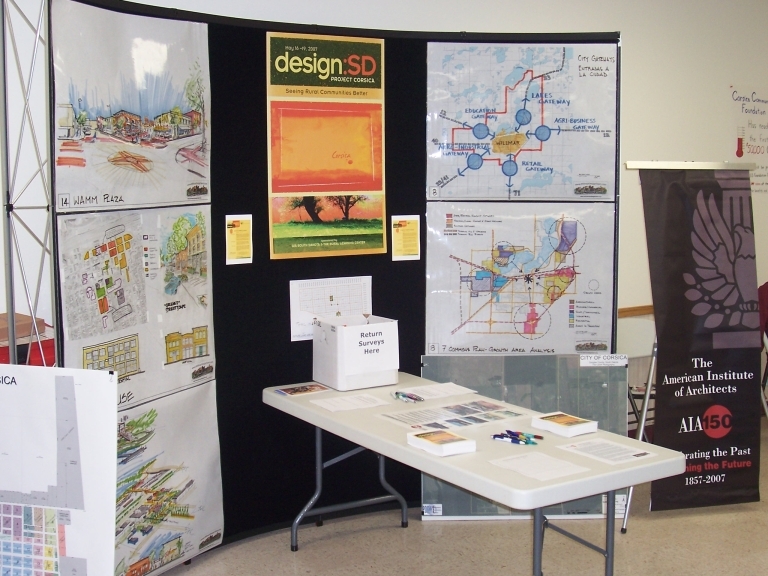 The organizers of the design:SD project are forever grateful to the members of the Minnesota Design Team for their support and encouragement.